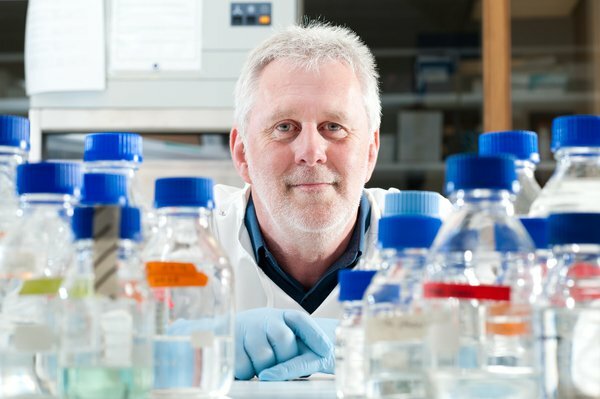 Ken Mills, from Queen’s University Belfast, is looking into why some patients with myelodysplastic syndrome (MDS) develop a more aggressive acute myeloid leukaemia (AML). Ken's investigating the impact of DNA repair on disease evolution whilst identifying therapies for both diseases. Ken spoke to us to explain more about his project. "The DNA within our cells holds the code, in the form of genes, for ensuring that our cells grow and work efficiently and effectively. Any damage to the DNA code might affect the correct function of the cells, particularly damage to genes that regulate cell growth and development, which if un-repaired can lead to cancer. Fortunately, the cell has a system that detects DNA damage and activates a repair mechanism if it is minor and can be fixed or, if the damage is to severe, the detection process activities cell death, a process called apoptosis. As people get older the rate of ineffective DNA damage repair increases, which can often lead to the development of cancer. A type of blood cancer called myelodysplastic syndrome (MDS) occurs in some elderly patients and some of these can then develop a more aggressive type of blood cancer called acute myeloid leukaemia (AML). MDS and then AML often arise as the blood cells accumulate DNA damage, some of which will affect the way that DNA is structured or the way that RNA, made from DNA, is spliced before being made into proteins. Our previous studies have shown that some mutations also have an impact on the way that DNA is repaired after damage, leaving the cells with limited means for repairing damaged DNA. In this scenario, we hope to block the cancer cells remaining DNA repair pathways, using novel less toxic drugs, thereby triggering a catastrophic build up of damaged DNA in these cells, resulting in cancer cell death. This is particularly important in elderly patients whom are more likely to develop MDS and AML, as they often can’t tolerate traditional chemotherapies, which are relatively toxic. 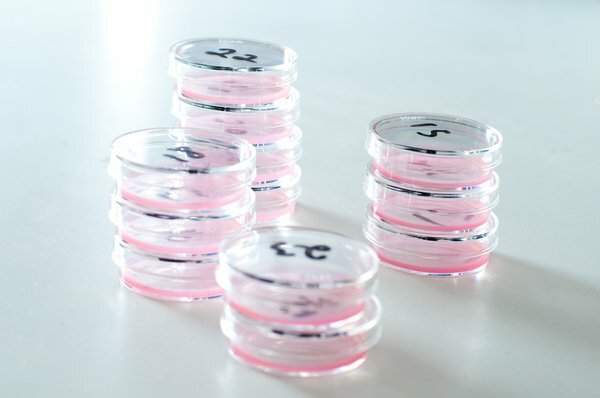 The funded project will combine laboratory and computer based studies to determine how we use deficiencies in DNA repair as a therapy. Our investigation will identify candidate therapies to slow or halt the progression of MDS particularly towards AML as both diseases have an unmet need for new treatments." Ken's research could lead to new, kinder therapies being developed to treat myelodysplastic syndrome (MDS) and acute myeloid leukaemia (AML). You can help fund more ground-breaking research by donating today. 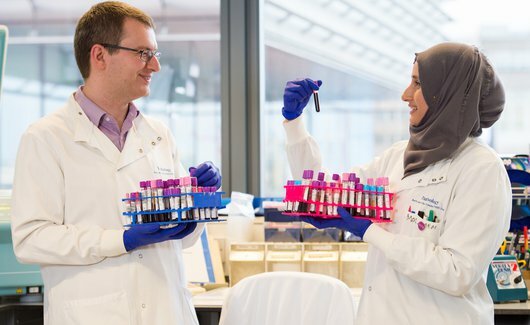 A monthly donation can help support researchers to develop kinder, more-effective treatments for leukaemia and blood cancers.